Sexual Harassment may apparently look like an insignificant issue for the laymen but not for the working women in India. It is one of the unwritten harsh realities which the working women may have faced or may encounter, directly or indirectly. 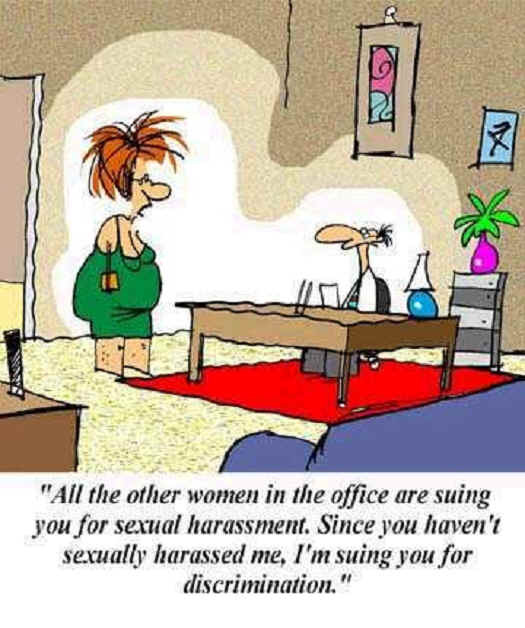 Sexual Harassment is a real issue at the workplace. The Hon’ble Supreme Court of India in Medha Kotwal Lele v. Union of India (2013) has noted that it is a fact that working women are even now denied their most basic rights at the workplace. The reason why women face such issues at the workplace is that there gender inequality and gendered unequal power relations at the workplace. It is a trite fact that gender inequality and unequal power relations at the work place primarily exist due to the patriarchal system which has been in existence since long. The gender disparity at work place is an extension of the old patriarchal system. At the basic level, it is a show of male dominance and the inherent inability to deal with women at par with men. Gender disparity, as a living reality, is perhaps the most endured social aberration across times. It is a known fact that the gender relations within the household are unambiguously depicted in the labour market and workplaces. The core reason for the problem of the sexual harassment at the workplace is that the woman is treated as an inferior/subordinate person and unequal object that can be perused for the sexist desires. The non-regard for the women as equal human beings is the root cause of the problem. This position exists despite the fact that the Hon’ble Supreme Court in Vishakha v. State of Rajasthan (1997), had to lay down extensive and binding guidelines in order to combat this issue. It is pertinent to note that the India has recently passed the Sexual Harassment of Women at Workplace (Prevention, Prohibition and Redressal) Act, 2013 which is a forward looking legislative enactment for preventing gender-based harassment. This Act was long overdue since the passing of the Vishakha judgement (supra) by the Hon’ble Supreme Court of India in 1997. Firstly, Sexual Harassment is just one type of gender inequality. Rest kinds of gender inequality (like safety issues, equal opportunity issues, gender sensitization issues, etc.) not adequately covered under the Indian Law. Secondly, even if assuming we have the laws required to contain gender inequality, we must remember: Laws will be never be fully effective as long as the there is no societal will to promote gender equity. Thirdly, the real effect of the Sexual Harassment Act of 2013 is yet to be seen and felt.